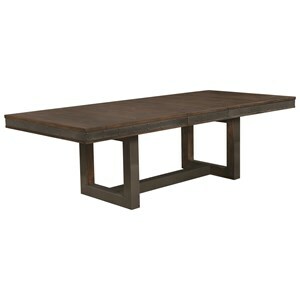 The most versatile dining table imaginable, this rectangular leg table features three self storing leaves capable of expanding the dining surface to up to 131.75" long. 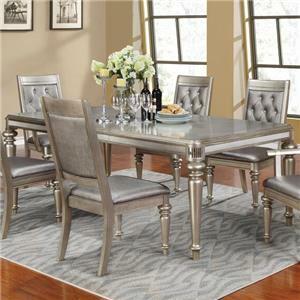 With all three leaves stored, this table makes the perfect gathering spot for simple family meals. Add one, two, or three leaves to accommodate social occasions from friendly get-togethers to extravagant dinner parties. 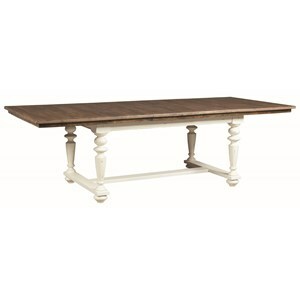 Crafted with 100% solid Asian hardwoods, this dining table is built to last. 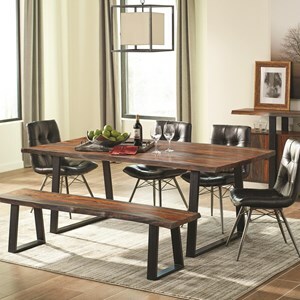 The Toluca Solid Wood Leg Table with 3 Self-Storing Leaves by AAmerica at Value City Furniture in the New Jersey, NJ, Staten Island, Hoboken area. Product availability may vary. Contact us for the most current availability on this product. 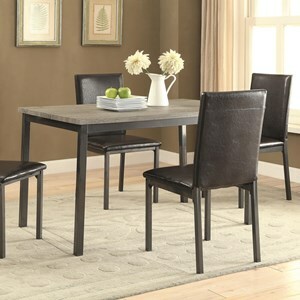 Leaves Three 24" self-storing leaves extend table from 60" to 131.75". 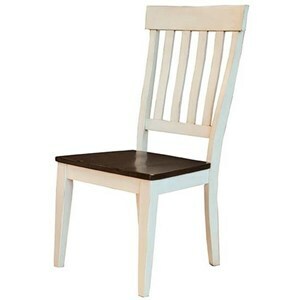 Warranty Warranted Against Manufacturing and Material Defects for 1 Full Year. 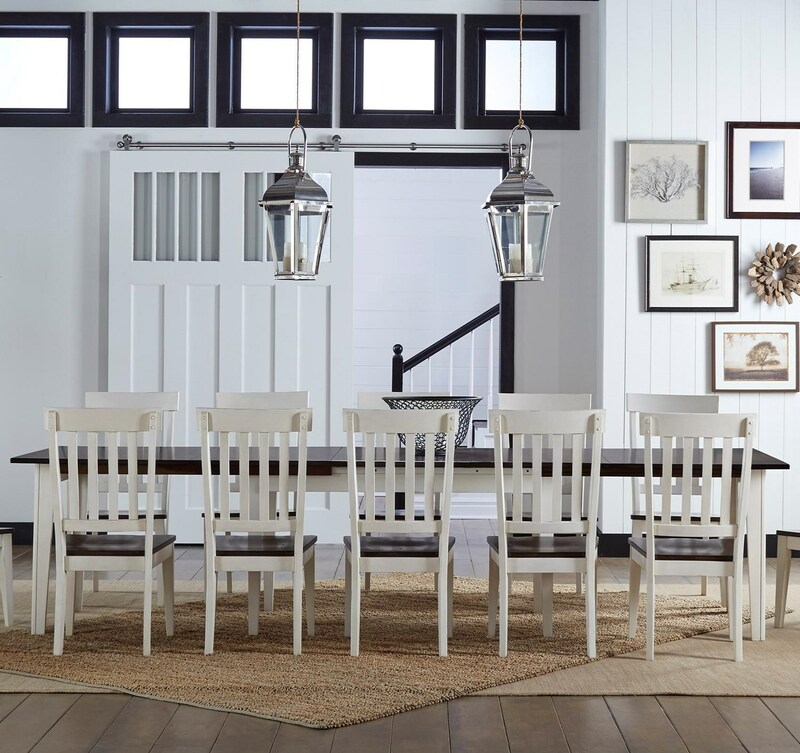 Bringing a sense of earnest integrity to your home furnishings, this dining collection showcases a relaxed country look with simple design and a rustic finish. 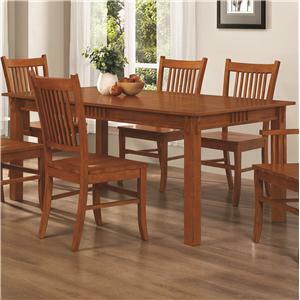 Built with 100% sustainable, legally harvested Asian hardwood, these sturdy, well-made pieces will stay in your family for years. 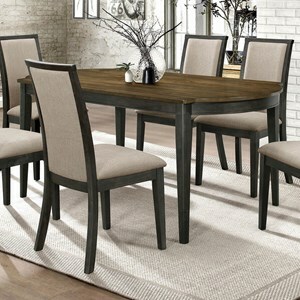 Versatile dining tables and charming side chairs communicate hospitality and welcome, turning your home space into a haven of great memories. 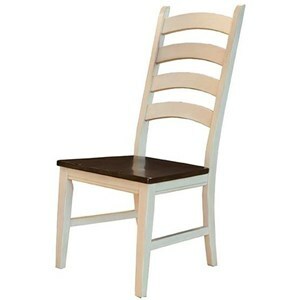 The Toluca collection is a great option if you are looking for Rustic Traditional Casual Cottage furniture in the New Jersey, NJ, Staten Island, Hoboken area. 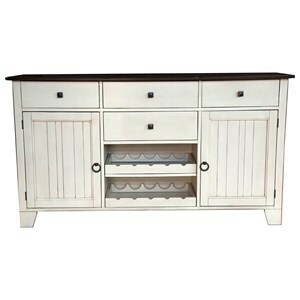 Browse other items in the Toluca collection from Value City Furniture in the New Jersey, NJ, Staten Island, Hoboken area.